Heat oven to 350°F. 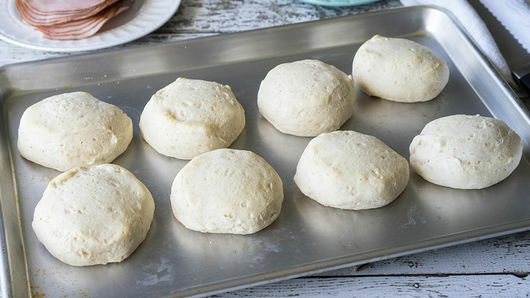 Separate 1 can Pillsbury™ Grands!™ Southern Homestyle refrigerated Buttermilk biscuits into 8 biscuits. On ungreased cookie sheet, place biscuits 2 inches apart. Bake 8 minutes. Lightly grease or spray 13x9-inch (3-quart) baking dish. Carefully split each biscuit in half. Line bottom of baking dish with bottom half of each biscuit. 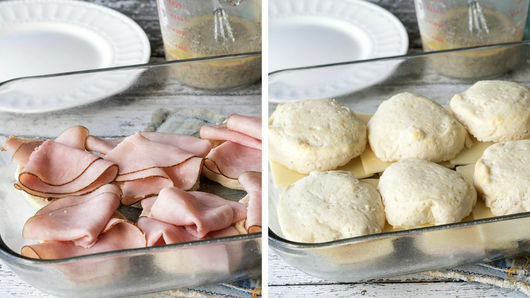 Fold ham slices; place 2 slices on each biscuit. 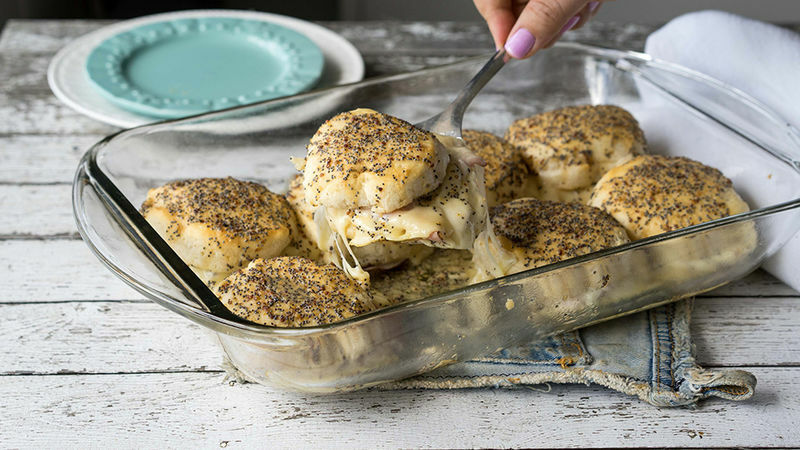 Top each with 1 slice cheese and top biscuit. 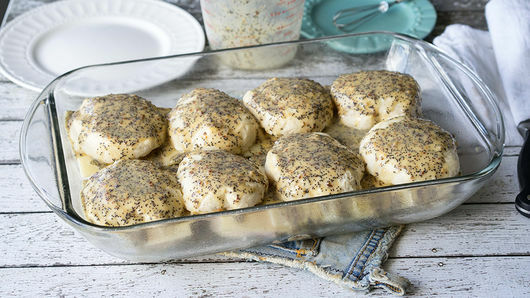 In small bowl, mix 1/2 cup melted butter, 1 1/2 tablespoons grainy Dijon mustard, 1 tablespoon poppy seed and 1 1/2 teaspoons soy sauce with whisk. Pour over tops of biscuits to cover. 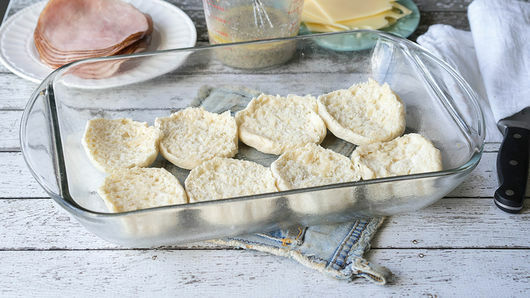 Bake 10 to 15 minutes or until tops of biscuits are golden brown. Enjoy warm! Take this to the game by packaging in a 13x9-inch foil pan, then covering with foil. Heat your grill over medium heat, and cook until tops are golden brown and cheese is melted, about 10 minutes. 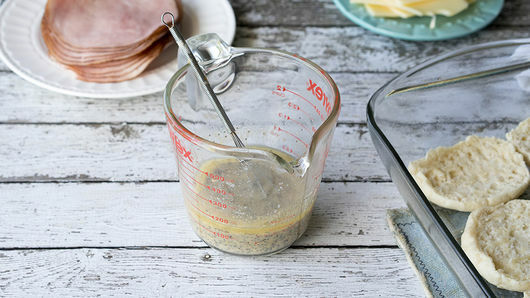 Switch up the meat and cheese to make this sandwich your own!